This summer, check out Laura Mercier's Belle Nouveau 2012 Collection. Inspired by her time as a painter and the Art Nouveau movement, this collection brings together playful but versatile shades. 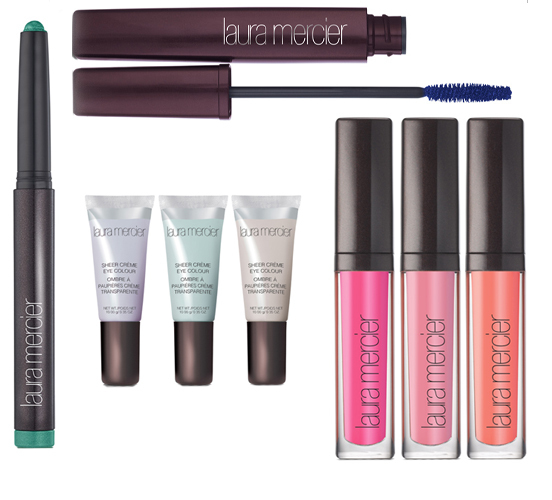 Our picks form the collection include the Laura Mercier Sheer Creme Eye Colour in Mauve Pastel, Grey Pastel and Aqua Pastel; Laura Mercier Lip Glace in Camellia, Orange Tulip and Lotus Blossom; Laura Mercier Caviar Eye Stick Colour in Turquoise; and Laura Mercier Long Lash Mascara in Bleu.